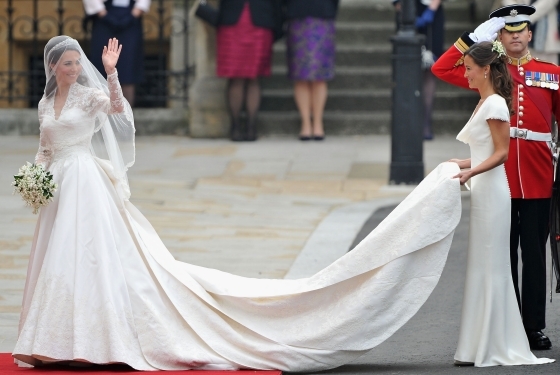 After months of flat-out denying her and her team were involved with the wedding at all Sarah Bruton’s design for Alexander McQueen was revealed this morning and stunned everyone! It’s classic look and elegance allowed Kate to grace effortlessly from the carriage to the palace. Not only was it an amazing gown, but the atmosphere and attendees looked flawless as well! Unique hats and bright colors were the statement at this wedding of the year! Check out some photos! Some people I know cried because it was so beautiful… *awww* just like the fairy tales!